Canadians are holding a record $75-billion in cash amid an “ocean of fear” about investing in the markets, a new study finds. That means they could miss out on billions in payback, warns the study released today by Canadian Imperial Bank of Commerce economists Benjamin Tal and Royce Mendes. Extra cash, they said, is being built up at a pace unrivalled in more than four years. “The environment surrounding Canadian stocks is also grim, with domestic equities trading more like those of emerging markets,” they added. The two economists came to their conclusions by adjusting for inflation and changes in population. 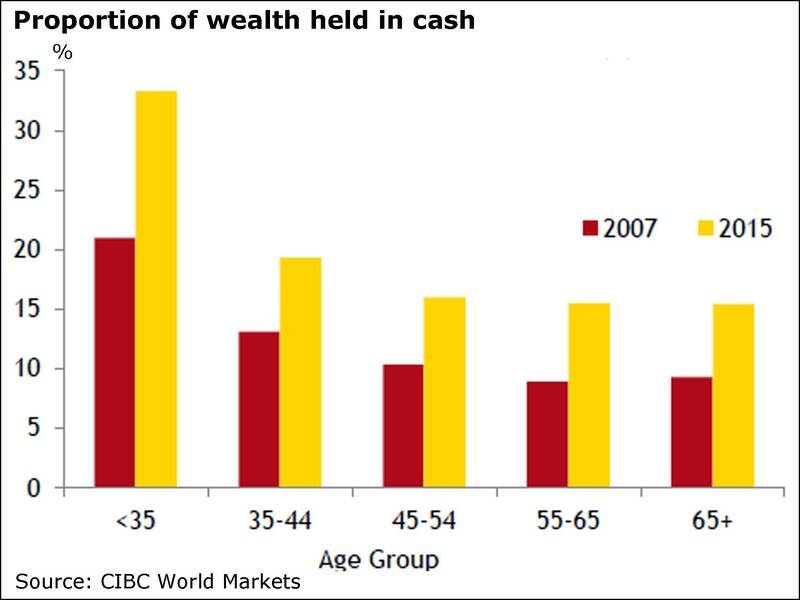 So that $75-billion is “extra," in bank cash deposits and money market mutual funds, compared to where it should be. And here’s a stunning figure from the report: The extra money accounts for about 10 per cent of all personal liquid assets in the country. This angst isn’t new. It obviously came about during the 1987 crash, and again in 2001 and then again during the financial crisis. But Mr. Tal and Mr. Mendes warned that investors frequently miss out by acting in inopportune moments. 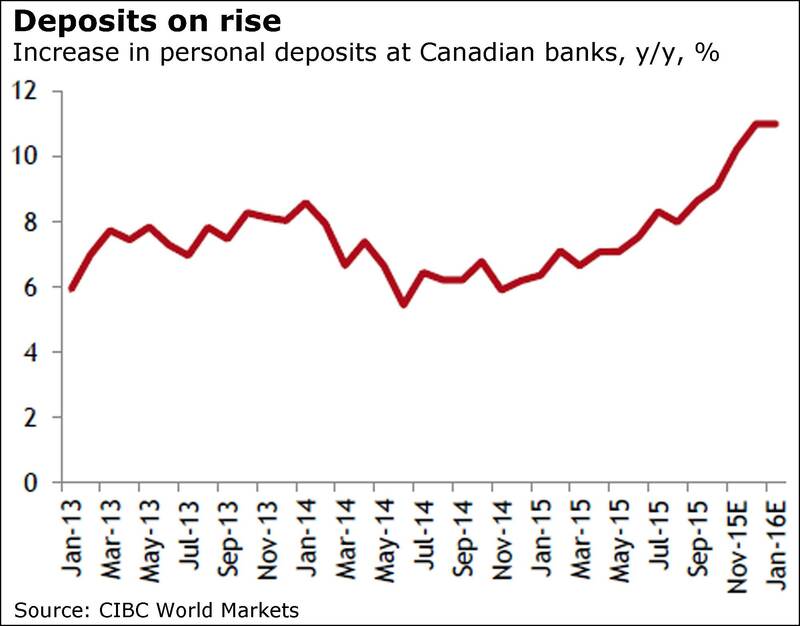 “We know from the data on personal deposits that Canadians respond to such spikes in volatility by moving into cash,” they said. The National Energy Board has serious problems in its effort to ensure the safety of pipelines, the federal environment commissioner says in a finding that will provide more fuel for the country’s heated debate over two proposed multibillion-dollar projects. In an audit released today, the commissioner, Julie Gelfand, said the Calgary-based federal regulator did not adequately track the implementation of conditions that the board itself required in approving pipelines, nor did it consistently follow up on deficiencies in companies’ overall regulatory compliance. With the proposed expansion of oil-and-gas pipeline capacity, “it is clear that the National Energy Board needs to do more to keep pace with the rapidly changing context in which it is operating,” Ms. Gelfand said in a statement, The Globe and Mail’s Shawn McCarthy reports. Two Canadian pension plans are teaming up to buy about $530-million of annuities, in a creative deal to transfer investment, longevity and inflation risk to an insurance company, The Globe and Mail’s Jacqueline Nelson reports. The two defined benefit pension plans, owned by companies that did not want to be named, have struck the joint annuity agreement with Sun Life Financial Inc., despite having no other relation to each other. The advantage of banding together and conducting the transaction at the same time was more than $20-million dollars in savings as Sun Life balanced the inflation exposure of the two plans. Video: Is a no-boss office a dream or a nightmare?